As the evening shadows lengthen reflect on another awesome day as dinner is prepared. Click on the Map for greater detail. Diamantina Touring Commpany strongly believe in the value of travel insurance. 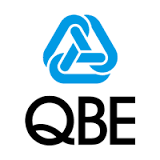 You can purchase QBE Insurance (Australia Limited) policies issued via the link below. You can use this link to purchase travel insurance not only for Diamantina expeditions, but for any travel you want to do anywhere in the world. This Travel Insurance is underwritten by QBE Insurance (Australia) Limited ABN 78 003 191 035. A Product Disclosure Statement should be considered before acquiring this product.. The Great Victoria Desert is one of Australia’s hidden treasures - a vast sand dune and sand plain desert - the largest in Australia. Its area is shared equally by the States of South and Western Australia, north of the Nullarbor Plain and south of the Musgrave Ranges, and is bounded on the west by Laverton and the goldfields and to the east by Mabel Creek Station due west of Coober Pedy and the Stuart Highway. The desert was named after Queen Victoria by the explorer Ernest Giles in 1875. Its dunes trend east west, and aside from the major palaeo-drainage basin at Serpentine Lakes it has no major watercourses. Save for a few vehicle tracks, this vast wilderness is virtually untouched by man. The international significance of the Unnamed Conservation Park that lies on the South Australian side of the desert was recognised in 1977 when it was proclaimed a Biosphere Reserve by UNESCO. It is one of the largest arid zone biospheres in the world. Sandplains and dunefields are the dominant landform, forming the southern part of the anticyclonic whorl of dunes that include the Simpson and Great Sandy Deserts. The dunes are longitudinal, from 5-20 metres in height and can run for up to 100kms. Salt lakes are another feature of the desert, the best known are the Serpentine Lakes, other lake systems are the Nurrari and Wyola Lakes, Lakes Maurice and Bring, and Plumridge Lakes and Yeo Lakes in Western Australia.To the south is the vast limestone Nullarbor Plain, and to the south east Tietkins Plain and the Ooldea dunefields. The Great Victoria Desert is remarkably well vegetated, and contains diverse acacia, casuarina and Eucalyptus communities. The most spectacular tree is the marble gum Eucalyptus gongylocarpa. The desert provides a biogeographically active corridor that links mallee inhabiting species from south eastern and south western Australia. Its diversity of flora is enhanced by having never been grazed by stock. 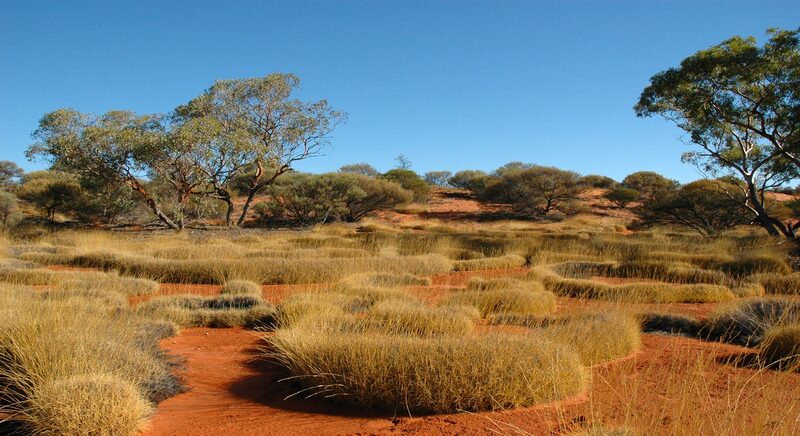 Being the least populated area of Australia the desert has an undisputed ecological integrity with a powerful wilderness character which has resulted in many describing it as a veritable botanical garden. Successive anthropologists have attempted to delineate the complex Aboriginal habitation patterns of the Great Victoria Desert. Ronald Berndt described those occupying the spinifex plains as pila and those on the stony ground to the north as yapu. Tindale classified them into a number of groups, Kokatha, Nangatadjara, Ngalea and Pindinii. These groups did not occupy set areas, but rather ranged across the desert according to seasons and the tjukurpa (law). There was population movement post European settlement. Daisy Bates established a settlement on the Indian Pacific railway line at Ooldea Soak, there were missions at Ceduna which later moved to Yatala, and settlements today at Tjuntjuntjarra and Oak Valley. There has over the years become a cultural amalgamation, all now speak western desert language and identify themselves as ‘Southern Pitjantjatjara’. After World War 2 it was proposed that the British and Australians establish a joint weapons research facility and rocket range at Woomera. A centre line of fire needed to be surveyed from the launch site at Lake Hart near Woomera over two thousand miles to the Eighty Mile Beach south of Broome. The task fell to sapper and surveyor Len Beadell who spent several years, often alone with a jeep cutting his way through the mulga scrub using astro fixes to survey the eventual flight path of the rockets. The road he constructed along part of this route was named after his wife Anne. We pick up from all Coober Pedy hotels mid morning and meet the incoming flight from Adelaide. We head west onto Aboriginal owned Mabel Creek Station. Following station tracks we arrive at the Dog Fence, the world’s longest man made structure. Crossing the fence signifies our arrival in a desert wilderness, with the next settled land close to Laverton in Western Australia. We travel west and camp in the Tallaringa Conservation Park. Tallaringa well was a native well, rediscovered by the explorer Maurice. Len Beadell relocated the well in 1951 using astrofixes to determine Maurice’s original co-ordinates. Our first morning in the Outback, awake to birdsong, a blazing campfire, fresh brewed coffee or billy tea, and a hearty breakfast. We break camp and head west towards Emu. We visit ground zero at Totem 1 & 2 atomic sites. We check out Observation Hill where Len Beadell stood with Sir Thomas Penny to observe the first atomic detonation on the Australian mainland. We visit the camp area and the emu clay pan before heading west to camp amongst beneath casuarinas in limestone country. We enter the magical Great Victoria Desert. Over the next five days we travel westward, largely along internal corridors thick with an astonishing array of vegetation. The road we take is the Anne Beadell Highway, which is really a track not a highway.We enter Marlinga Tjarutja Aboriginal Lands and travel west to the first junction Vokes Hill. On through the desert we enter the Mumungari Conservation Park. We preferred its previous name “The Unnamed Conservation Park”, but who are we to stand in the way of progress. The park is an UNESCO World Biosphere reserve. The vegetation is stunning, with karrajong, acacias, hakeas and majestic marble gums. We cross the paloedrainage basin known as the Serpentine Lakes. We camp on beautiful red clay pans surrounded by native pines. We visit Aboriginal wells, one of Australia’s most extensive Aboriginal stone arrangements, the wreckage of a Goldfields Airways twin engine Cessna that crash landed in 1993. We visit Australia’s most remote roadhouse at Ikkurlka, the crossing of the Connie Sue Highway at Neales Junction, and eventually arrive in Laverton in the Western Australian Goldfields. We visit Lake Ballard, the site chosen by British sculptor, Sir Antony Gormley, to display his world-famous ‘Inside Australia’ art installation of 51 sculptures known as the Antony Gormley Sculptures. We will head to Lake Niagara, built by CY O’Conner - the visionary behind the Perth to Kalgoorlie pipeline. No visit to the area would be complete without dropping in to the famous Grand Hotel in Kookynie. Built in 1902 it is the quintessential outback pub. We trek eastward to Pinjin, a ghost town where little remains of a brief gold rush in the early 20th century. We gradually enter more and more remote country. We gradually enter more and more remote country. We take a walk around the Kirgella Rocks, scenic granite outcrops. We visit Queen Victoria Springs, named by Ernest Giles and gradually make our way into the Plumridge Lakes Nature Reserve. The first Europeans to Plumridge Lakes was Ernest Giles party in 1875. The next visitors were the Elder Scientific Exploring Expedition led by David Lindsay. The lakes were eventually named by the explorer Frank Hann in 1908 after one of this travelling companions. The Plumridge Lakes area was an important region for Sandlewood harvesting from 1930s until 1980s. 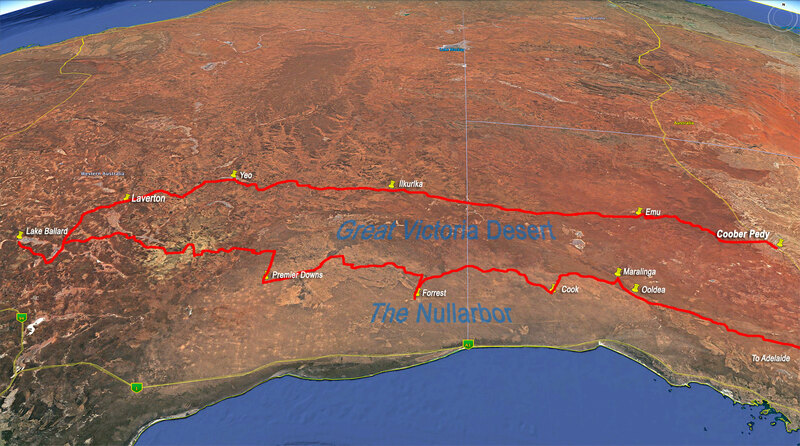 A day of great variation of scenery as we push eastward through the Great Victoria Desert. Gradually the heavily vegetated country gives way to stunning bluebush plains interspersed with stately western myall. These trees love limestone and are indicative that we are gradually approaching the worlds largest limestone plain - the Nullarbor. We cross the Connie Sue Highway, another Len Beadell road and head into country seldom traversed. We drive along old rabbitters tracks through stunning rolling plains. We are north of the Nullarbor and south of the Great Victoria Desert and there is a wonderful feeling of vastness and remoteness. We wind our way southward through the remains of old rabbiters camps across vast endless plains until we arrive at the tiny hamlet of Forrest on the Trans Pacific Railway. There is lots to see and do here. Once a stop over for airplanes en route from Adelaide to Perth, there is an historic aircraft hanger, an abandoned meteorological station and numerous buildings. There is also an automatic meteorite tracking facility. There is also the chance of a shower to wash off the desert dust. We follow the railway line east. It is a surreal experience as the rail line is dead straight for hundreds of kilometres. Occasionally a freight train will pass, there are siding ruins, old tips and beacons that once provided lights for airplanes traversing the continent. We stop at the township of Cook where there is a shop and small museum and continue on to Watson. We leave the railway and head north towards Marlinga - the field of thunder, where Australia conducted nuclear tests in the 1950s. We will camp at Maralinga Village. A full day tour of the Maralinga village, bomb sites and testing ground. We will camp south near Ooldea siding which for many years was the home of Daisy Bates. After exploring Ooldea and the surrounding area we travel east through sandhills to Wynbring, and extraordinary granitic outcrop. There are some wonderful short walks to be enjoyed in the area. Ater exploring Wynbring we follow alongside the vermin proof fence past Lyons to Malbooma and on to Tarcoola, the junction of the Sydney-Perth and Adelaide Darwin railway lines. Tarcoola reputedly has a population of two since the Pub, one of only two iron- clad hotels in South Australia closed. Leaving the Gawler Ranges we arrive in wheat country. Gradually the country becomes more civilised as we pass Iron Knob and Kimba to make our way to Port Augusta. From Port Augusta we trek south to Adelaide arriving early evening at city hotels and the end of an extraordinary adventure. We hope you enjoy this website and our collection of fine boutique expeditions. we look forward to welcoming you on board for a wonderful holiday soon. Australian Bush Hospitality Pvt. Ltd. Bookings can be made via our secure online booking form. If you cannot use the online form you can download a manual booking form and post it back to us. You can download the manual booking form from the download forms box to the right on this page. Diamantina requires a completed online booking form and non-refundable deposit to confirm your booking. The booking deposit is $400 per person. Your booking deposit is used towards pre-tour operational and administration costs for your expedition. Bookings made within 45 days of departure will require full payment at the time of booking. Final payment: The balance of money owed will be due 45 days prior to departure. If payment is not received by the due date you will forfeit your deposit and place on the tour. – If cancellation takes place more than 70 days before your departure date, your full deposit will be forfeited. – If cancellation takes place between 70 and 45 days before your departure date, 50% of the tour price will be forfeited. – If cancellation takes place less than 45 days before your departure date, 100% of the tour price will be forfeited. In view of the heavy penalties applied to cancelled reservations, it is a condition of your booking that you take out insurance. Diamantina require you to complete a medical questionnaire to be returned to us as proof that you are fit enough to participate in the tour. This can be downloaded from the download forms box to the right. This must be returned to us at least 70 days prior to departure or if tour is booked closer to departure date, with booking form. If you are 70 years or over or have a pre existing medical condition you must have your doctor complete and sign the bottom section of the medical form before returning to ABH. If you suffer from severe muscular, chest, heart or bronchial disorders, or if you are a severe asthmatic, you are strongly advised against participating. Tours take place in remote areas where there is little or no access to normal medical services or hospital facilities for serious problems. Evacuation, where necessary, can be prolonged, difficult and expensive. Medical and evacuation expenses will be your responsibility. ABH reserves the right in its absolute discretion to refuse a participant the right to participate in a tour on medical or fitness grounds. It is a condition of your booking that you take out travel insurance at the time your deposit is paid. For Diamantina expeditions, or travel anywhere in the world – receive a 10% discount on your travel insurance with QBE. a(ABH) trading as the Diamantina Touring Company is a domestic Australian adventure and experiential tourism operator. ABH recognise that privacy is important, and we are bound by the Information Privacy Principles (IPP's) in the Privacy Act 1988 (Australia). We are also bound by the Spam Act 2003 (Australia). 1) Personal Information collected by ABH. There are several methods with which we collect personal information. You join our database by logging in at our customer centre to gain a password. You opt in to receive our newsletter or have in the past requested information on our programs or responded to an advertisement placed by us. As a participant on one of our expeditions you filled out a client appraisal form. We will collect such information as we need to service our relationship with you. As required by the IPP's we will not use personal information for any other purpose other than that for which it was collected. IIn the event that we needed to use that information for another purpose we would ask your consent. Our electronic newsletter has an unsubscribe option that you are free to use should you not wish to receive any further information from us. 3) Will we give your personal information to anyone else? Any information we have is stored in our office and on our secure server. We do not give out details like contents of our manifests. We will supply your name and address to Aboriginal corporations for the purposes of acquiring access permits. We will also provide your name and address to National Parks Services as requirements of our operating permits. We may also give your name and address to an accommodation provider on a tour as part of the registration process. Otherwise we will only disclose your personal information with your personal consent unless required to by law or permitted under the privacy act, for example if a request is made under the Freedom of Information Act 1982 (FOI Act). We do not give clients details to fellow traveling clients. Information stored by ABH is hosted on secure servers both in Australian and the United States. Paper manifests and account information is stored in our locked office in Jamieson. Credit card details are not retained on our servers after processing, but are immediately deleted. Under the Privacy Act 1988 you are entitled to access your personal detail records that we hold. You may also ask for us to correct or update that information.